For the last three years, fragmentary bits of news about an upcoming theatrical adaptation of Stephen King's novel IT have been floating around the Net. Since it's still in development hell, digging up info on it has been damn near impossible. All we know for certain is that the project is being overseen by Warner Bros., and that they've hired you as a screenwriter. First of all, let me say congratulations! It's great to hear that the story will be given a fresh treatment without the content and financial restrictions that handicapped the 1990 mini-series. Furthermore it's reassuring to know that the project is in the hands of someone who loves the story, who plans on treating the source material with the respect it deserves. However, something you've mentioned about your screenplay gives me pause. The novel takes place in (at the time) present-day 1985, with flashbacks to the characters' childhoods in 1958. You've stated in interviews that in your script, the story will be set in the twenty-first century, with the flashbacks occurring in the mid-'80s. On behalf of everyone who loves the book and wants to see this film done well, I'm begging you, PLEASE DON'T DO THIS! The 1950s have a flavor that's particularly suited to the themes of childhood trauma and misplaced nostalgia that are prevalent throughout IT. For those of us too young to remember the '50s, our impression of that era is largely shaped by TV and movies, where it's depicted as an idealized chapter of American history, when the family was still intact, children were innocent, our culture was wholesome, the streets were safe, and America was on top. Of course as we grow up we learn that it wasn't quite like that, and that there was a world of bigotry, misogyny, paranoia, and domestic violence lurking beneath the Rockwellian facade. Everyone knew it was there--they just chose to ignore it. That's why the '50s are the perfect time to tell the story of Derry, a city which on the surface appears to be the perfect American small town, but is underlined by a malignant evil that corrupts its adults and destroys its children. On another level, the '50s are necessary to make several key elements of the story work. In the book, the traumas inflicted on the children by Pennywise the Clown are echoed by the real-life traumas they suffer at the hands of bullies, parents, and other abusive authority figures. Often, those assaults are the product of the cultural climate of the times. Mike is targeted for being black, Stan is harassed for being Jewish, and Beverly is the daughter of an abusive father. One could argue that racism and child abuse are still very much alive today, but that doesn't mean that the story would carry equal weight in the '80s. Today at least there are resources for kids to get help, whereas back in the '50s they were just expected to put up with it. This is consistent with the moment in the story where the kids realize that they can't depend on the adults to save them, so they're going to have to kill the monster themselves. The themes in IT may be timeless and universal, but the story itself belongs to a very specific time and place. While it's a given that liberties are going to be taken whenever a book is turned into a movie, there are certain things which can't be altered if the spirit of the tale is to shine through. 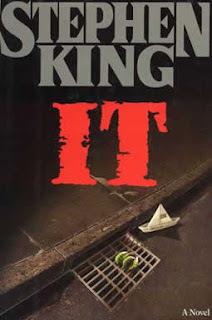 IT is arguably the most powerful thing Stephen King has ever written, and for those of us who have read it and reread it over the years, it has a very special place in our hearts. Many of us have been hoping for a decent film version for a long time. Now that it's in your hands, all I ask is that when you whip out Ockham's Razor, cut gently. Once again, I can't wait to see this movie come to life. Good luck and Godspeed! PS--While I understand the studio pressure to make a film accessible to a contemporary audience, it is possible to make a modern movie set in the '80s without making it look like a "period" film. A good example would be what Richard Kelly did with Donnie Darko. BTW, if you agree with what I wrote here, you have my complete permission to copy-paste this letter in forums, blogs, etc. With any luck, it'll be read by the right people.